The best swimming pool in Medellin is at the Atanasio Girardo Sports Complex in the Laurels neighborhood. Whenever I go for my hour long swimming workout and meditation I find myself dreaming of Medellin because of my happy experience going for a swim at one of the biggest sports complexes around. 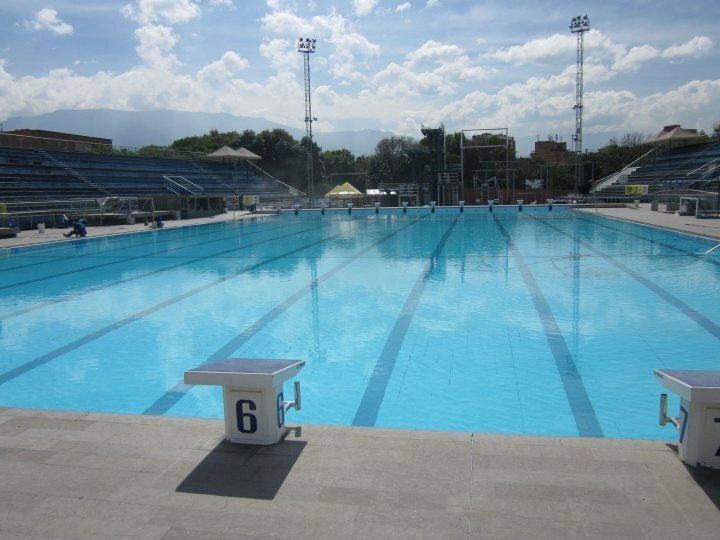 Today I will swim and daydream of Medellin and the beautiful outdoor pools of the Atanasio Girardot Sports Complex. 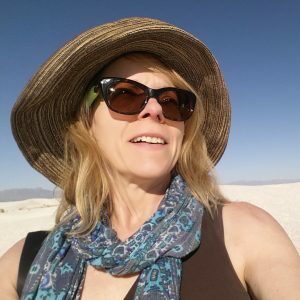 This time last year I was preparing for my trip to Colombia. Recently I began reminiscing about the swimming pools I was able to enjoy at Atanasio Girardot Sports Complex in Medellin, Colombia. I was staying at a hostel just a few blocks away in the barrio La Floresta. I swam in the beautiful diving pool a couple of times. The deep water is warm and welcoming but the length of the pool is not ideal for swimming laps. When I asked the attendant if I could swim in the Olympic size pool she said yes. It was a very cold but very enjoyable swim. I think the cold temperature made me swim just that much faster. There are 8 outdoor swimming pools at Atanasio Girardot Sports Complex. There isn’t a website so you will need to visit Atanasio Girardot Sports Complex and check the lap swim schedule. When I visited the staff were very friendly and helpful. Medellin is known as the City of Eternal Spring due to the year round warm temperatures in Medellin. The average daytime high of around 80 F (27 Celsius) and nighttime lows around 63 F (17 Celsius) make for enjoyable outdoor activities in Medellin, including swimming. There are several outdoor swimming pools at Atanasio Girardot Sports Complex in Medellin. The sports complex is huge. The architecture alone is worthy of a visit. In 2011 the stadium underwent a remodel for the U-20 World Cup event held in Colombia.